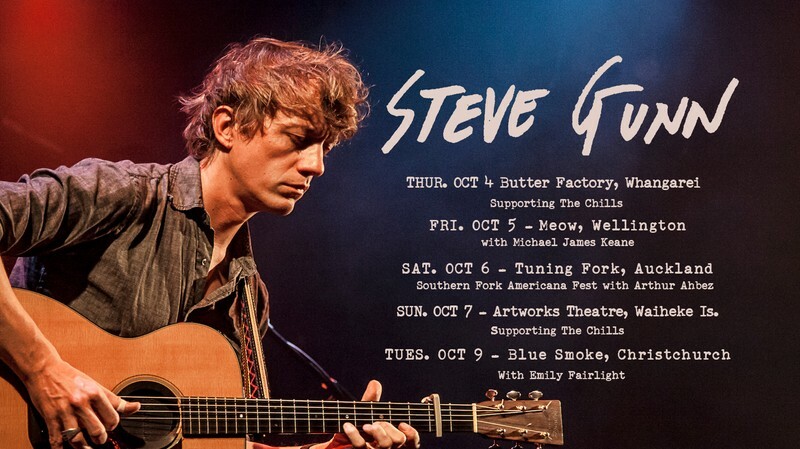 Hot on the heels of a critically lauded 2017 visit to New Zealand, New York-based guitarist and songwriter Steve Gunn returns for four solo shows across the country. One festival performance, one headline show, and two supports for iconic Dunedin pop minstrels The Chills. With a career spanning nearly fifteen years, Steve Gunn has produced volumes of critically acclaimed solo, duo, and ensemble recordings. His albums represent milestones of contemporary guitar-driven material, and forward thinking songwriting. Steve has steadily processed his inspirations into a singular, virtuosic stream. Close listening reveals the influence of blues, folk, ecstatic free jazz, and psych in his continually unfolding output.